Dad made a salad with tomatoes, cucumber (from the garden! 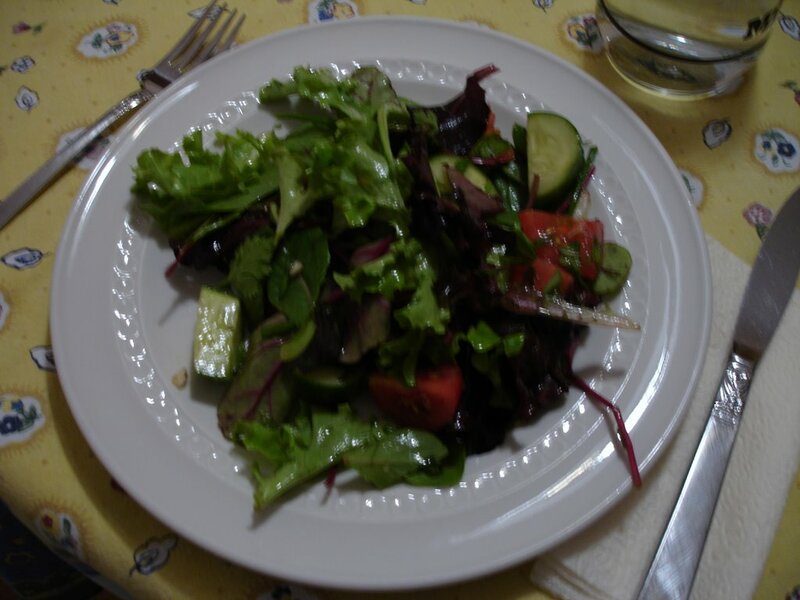 ), a yummy lemon dressing, herbs, and mixed greens. 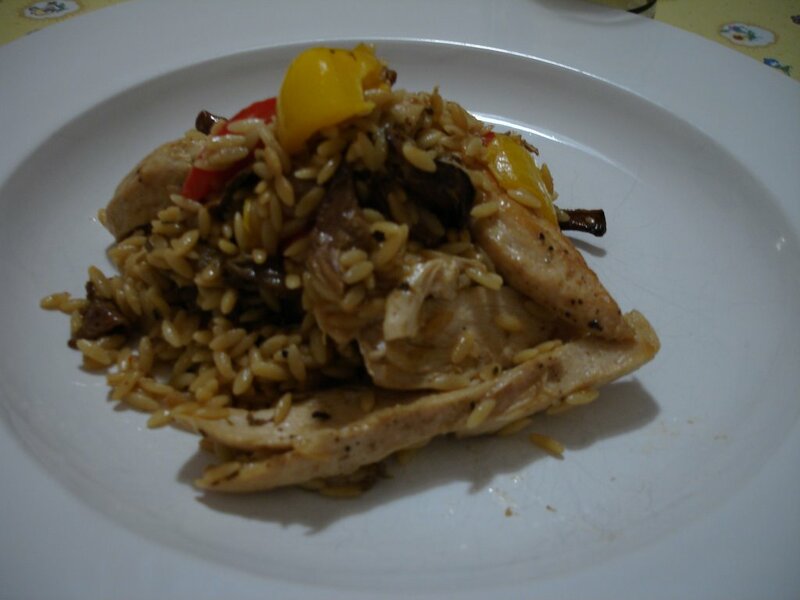 Mom used the porcini's we bought in Italy in an orzo recipe with chicken and peppers. I think if I can find out what originally went in it, I could modify it so it would be better. It had cream AND feta in it, yet lacked richness from either, so I'm guessing some modifications on when and how they're incorporated would make for a richer tasting meal.